At Victorian Auto Service, we offer a prompt, professional towing service, covering both inner and suburban Melbourne. 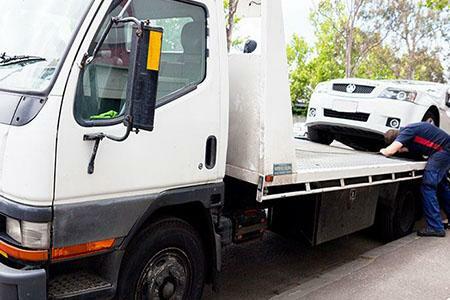 Our highly trained and experienced operators are available for door to door towing service from our base in West Melbourne. We’ll tow your car straight to your regular mechanic, or we’re happy to tow to our workshop and provide you with a free quote on mechanical repairs. We also offer loan cars to approved clients while your car is being repaired – ask us for more details. Victorian Auto Services is your one-stop car care shop, offering mechanical services, auto electrical repairs, panel beating consultations, LPG conversions, and used car trading. For more information or to get all your auto questions answered, contact the team at Victorian Auto Services today on (03) 9329 6299 .